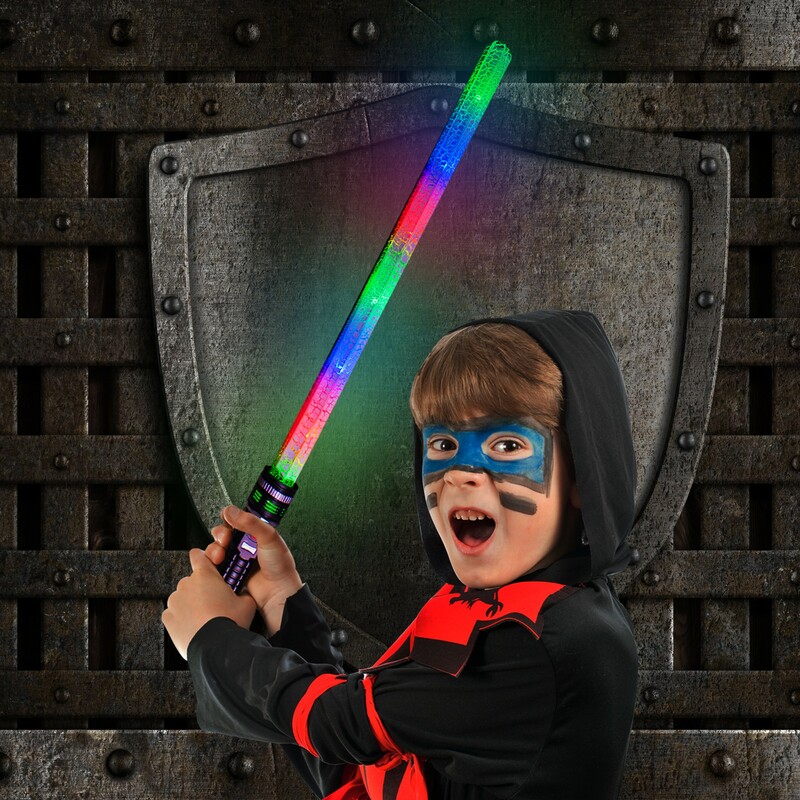 Our bright 27" LED Bolt Sword with sound is the perfect addition to your Jedi costume, sword fight, Medieval theme party, or playtime adventure. 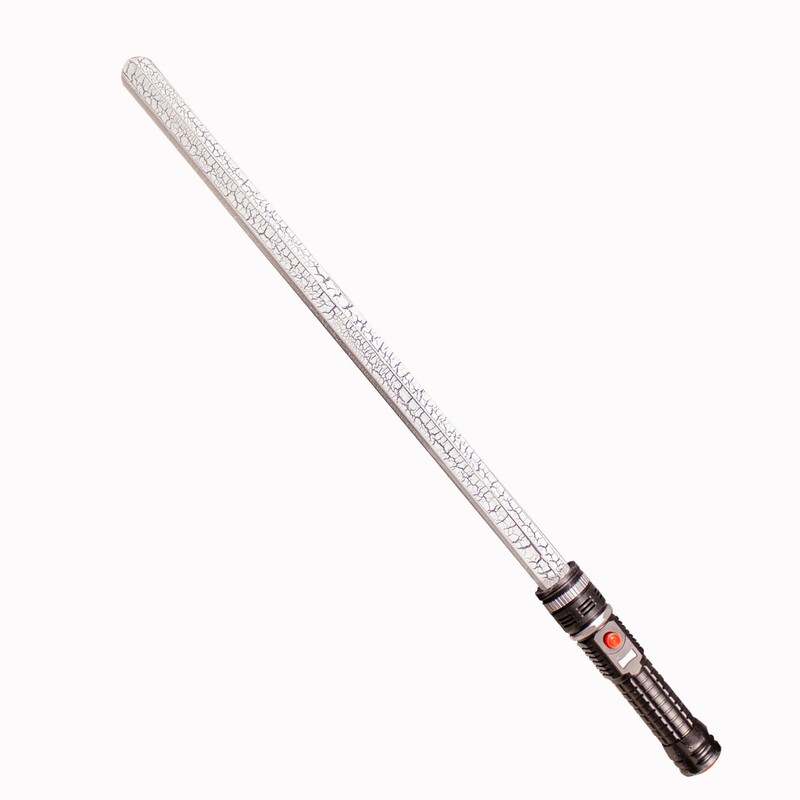 Our 7-function LED sword features a black handle with a crackling silver blade. 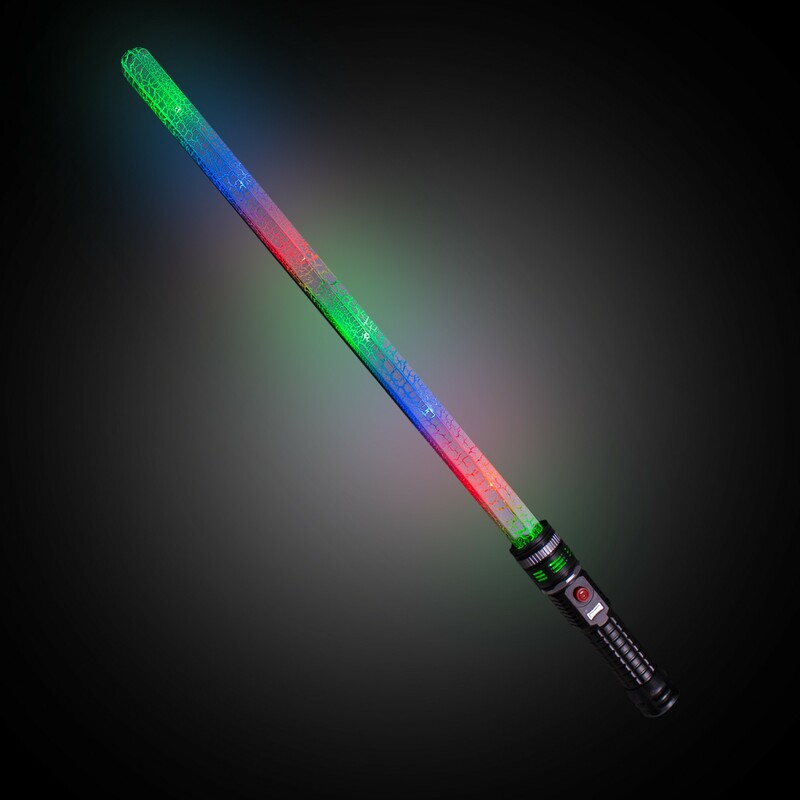 Simply push the red button for different light modes and sounds. 3 replaceable AAA batteries are included and installed. Please order in increments of 1 piece.